The most famous sight in the city and its most-visited attraction, Edinburgh Castle dominates the skyline from the top of Castle Rock. 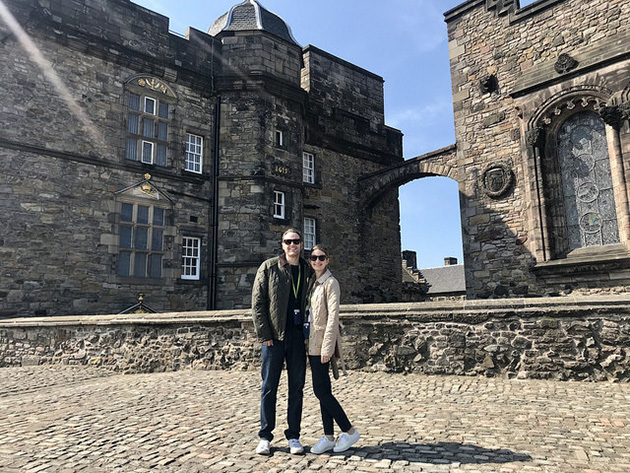 Edinburgh Castle has played a consistent role in Scotland's rich history from the 12th century through present day. 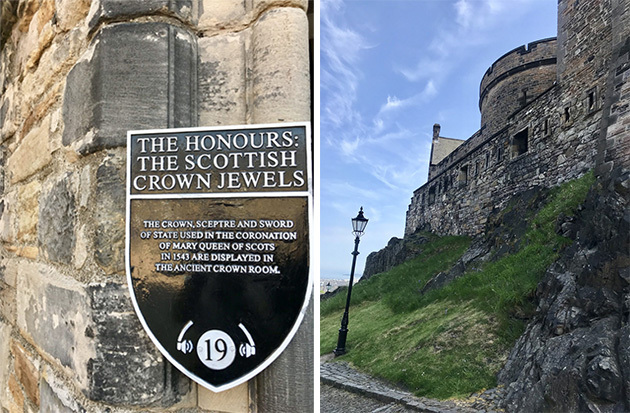 Highlights are the Scottish Crown Jewels, Saint Margaret's Chapel, and the room where Mary Queen of Scots gave birth to James VI. You can also enjoy spectacular views of the city. We pre-purchased our tickets online so that we could skip the long lines. The castle gets more crowded as the day goes on, so we arrived when it opened at 9:30am. If you can, try to stick around the area for the firing of the 1 o' clock gun, which happens at... you guessed it, 1pm. I would also recommend buying the Self-Guided Audio Tour that's available inside the castle gates. Without it we would have wandered around with no idea what we were looking at and missed a lot of interesting history. 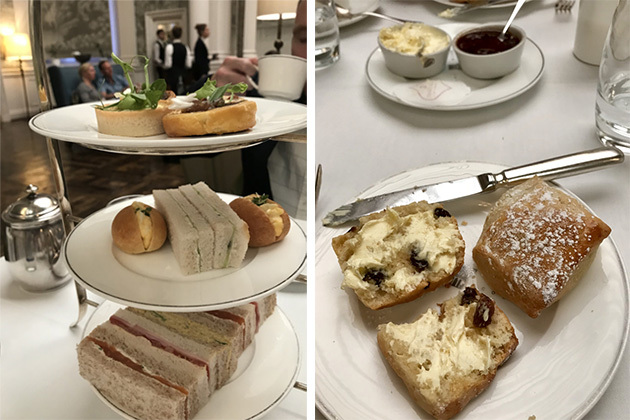 We were lucky enough to stay at The Balmoral Hotel the first two nights of our trip, but whether you stay there or not, I would highly recommend visiting for their award-winning Afternoon Tea. 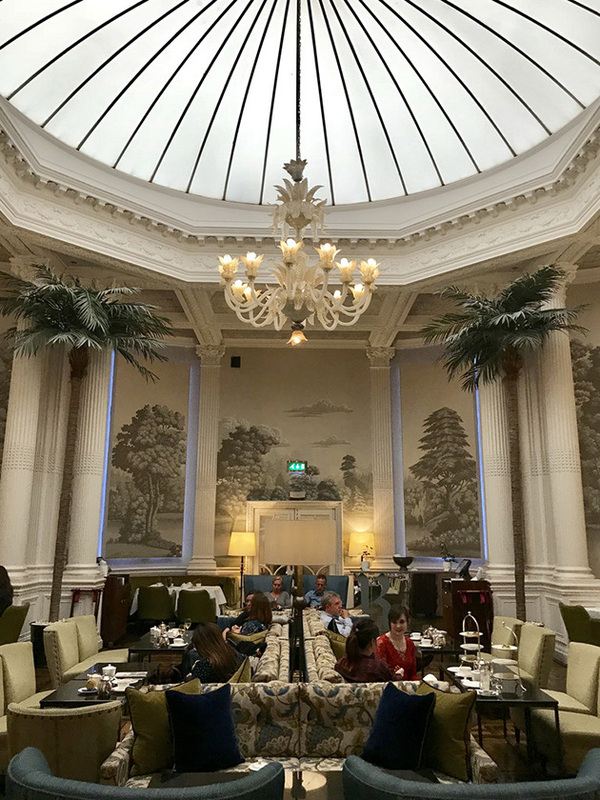 When we're traveling, one of my favorite experiences to seek out is a good afternoon tea service, and The Palm Court at The Balmoral Hotel was one of our favorites yet. It's on the pricier side at forty pounds per person, but we thought they provided amazing value for the price. It includes unlimited tea, and when you finish a pot, you can request to try a different tea for your next one. 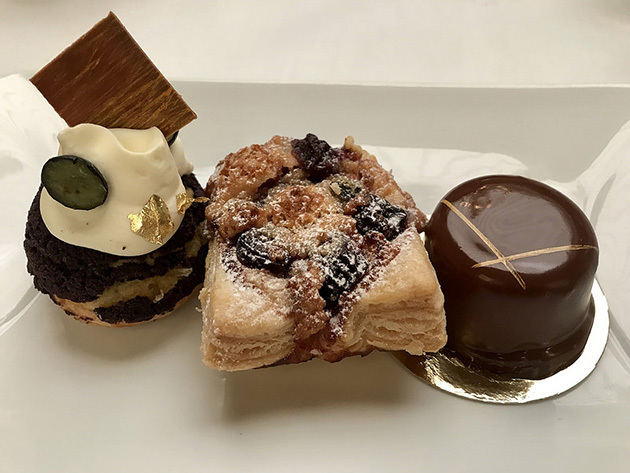 By the time we finished the savories, tea sandwiches, and scones with clotted cream and jam, we had to request for our desserts to be boxed up to take back to our room. (This is not typical for us!) Just when you think you're done, after dessert they bring out adorable mini sorbet cones and favors to take home- house-made chocolate truffles and souvenir tea tins. The setting is timelessly elegant and just in case it's not fancy enough for you already, there is also a live harpist playing from a balcony. I would definitely recommend booking early online as popular times seem to book up weeks in advance. 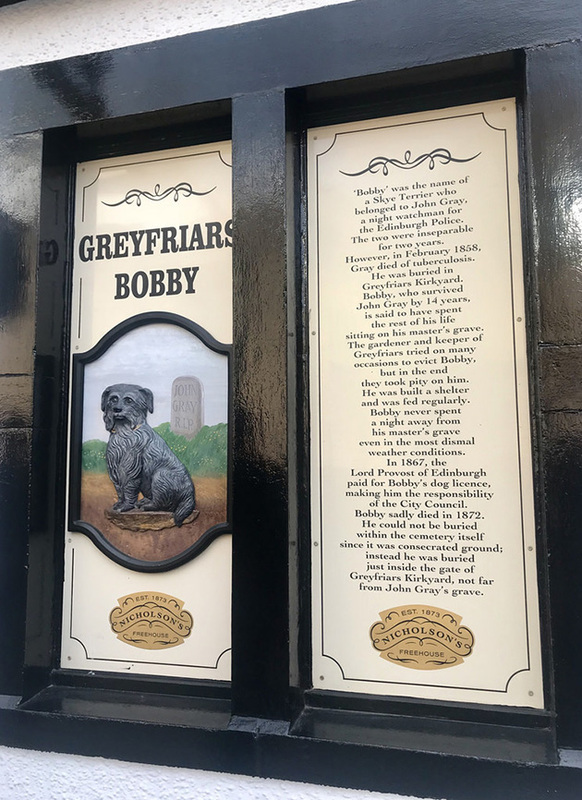 A Skye terrier who became well-known in 19th century Edinburgh, Greyfriars Bobby famously guarded the grave of his owner for 14 years after he died, until he died himself. 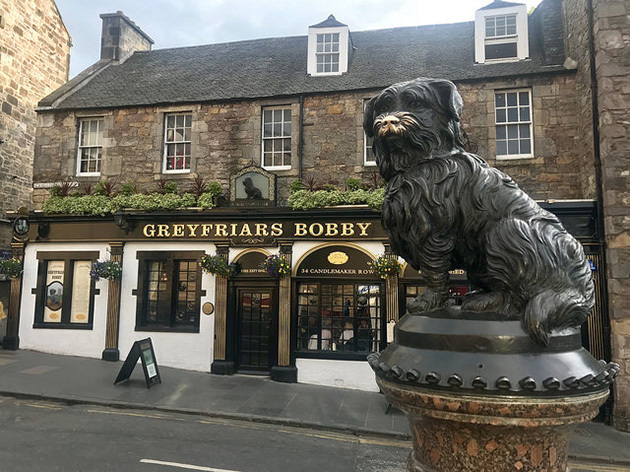 Today the dog remains a symbol of fidelity and a commemorative life-sized statue of him, located near Greyfriars Kirkyard, has become a popular tourist attraction. If you're a dog-lover like me, this is a sweet little landmark to stop at as you walk through Old Town. 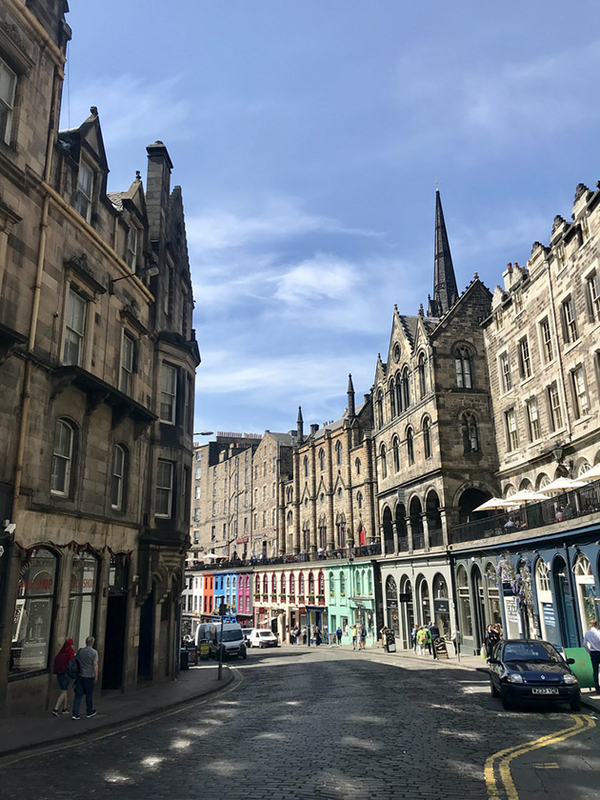 Edinburgh isn't a shopping destination like New York or Paris, and with so many sights to see, shopping didn't rank high on our list this trip. However, we did stop for some souvenirs and found a few uniquely Scottish shops to recommend. 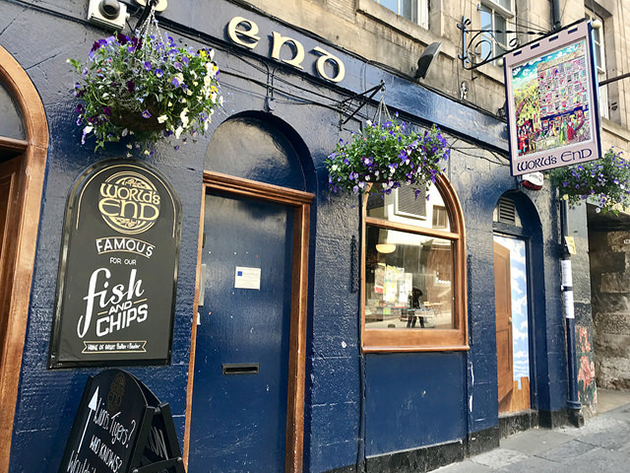 For the most quintessential Edinburgh experience, visit Victoria Street in Old Town. This ridiculously photogenic curving street is rumored to be J.K. Rowling's inspiration for Diagon Alley. I took a ton of photos here and enjoyed perusing the whimsical shops for antiques, books, and one-of-a-kind gifts. 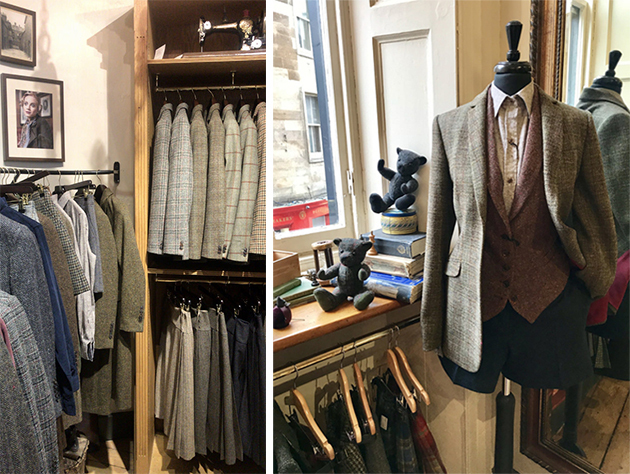 My favorite shop was Walker Slater, which carries the most beautiful clothing made from woven heritage fabrics like Harris tweed. I was seriously tempted to buy an all-out Scottish-themed outfit, but figured it was just the festive atmosphere getting to me. Looking back, I should have bought the tweed suit! 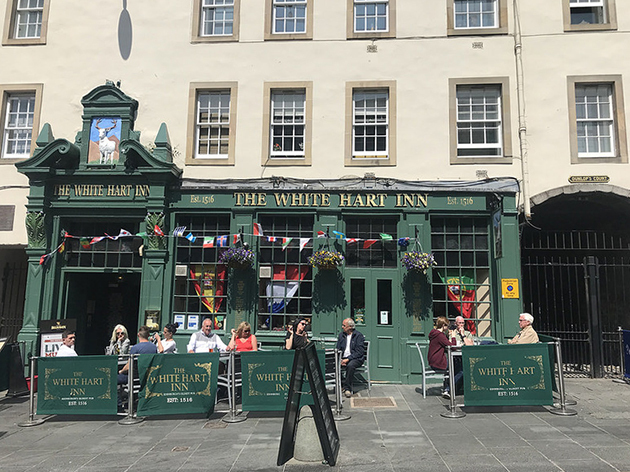 You can also find typical Scottish goods like cashmere, tartan, and tweed items on the Royal Mile, which most people consider to be touristy and overpriced. But I would say that the further away you walk from the castle, the more authentic the shops become. 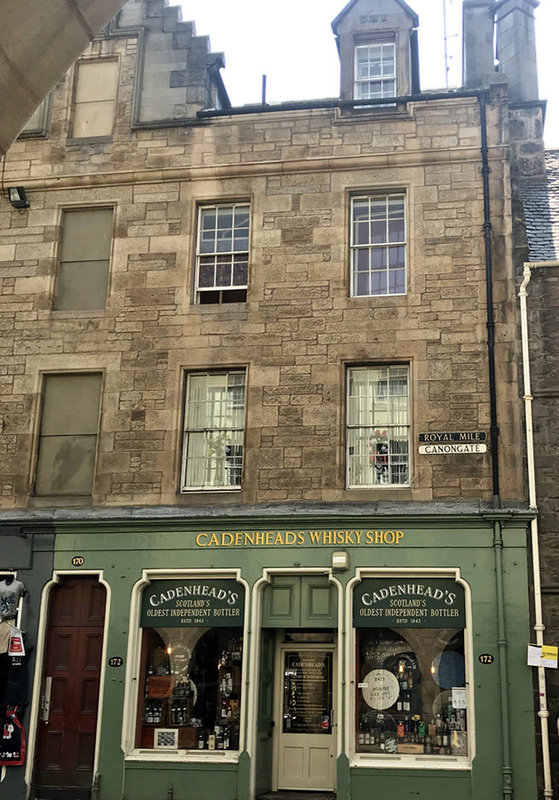 I would highly recommend Cranachan & Crowdie for stocking up on gourmet gifts and Cadenhead's Whisky Shop for a unique selection of scotch sold by truly passionate experts. It's a pretty well-known fact that I am royally obsessed with the British royal family. When other girls my age were crushing on Leonardo DiCaprio and Justin Timberlake, I was cutting out magazine photos of the young Princes William and Harry. 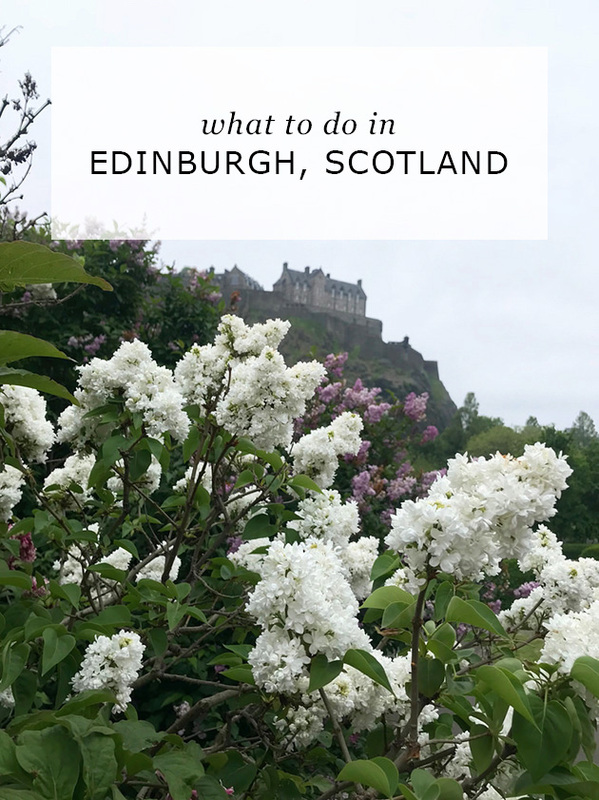 So obviously in a city with as many royal connections as Edinburgh, I wouldn't recommend passing up the Palace of Holyroodhouse and The Royal Yacht Britannia. 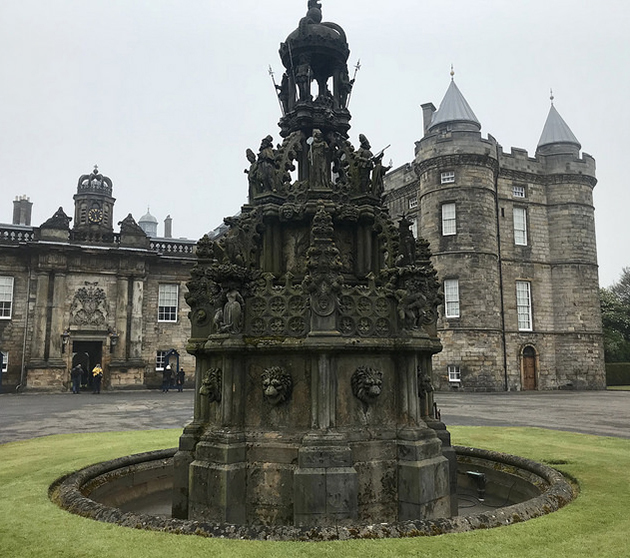 Holyrood Palace was especially beautiful on the misty day when we visited. 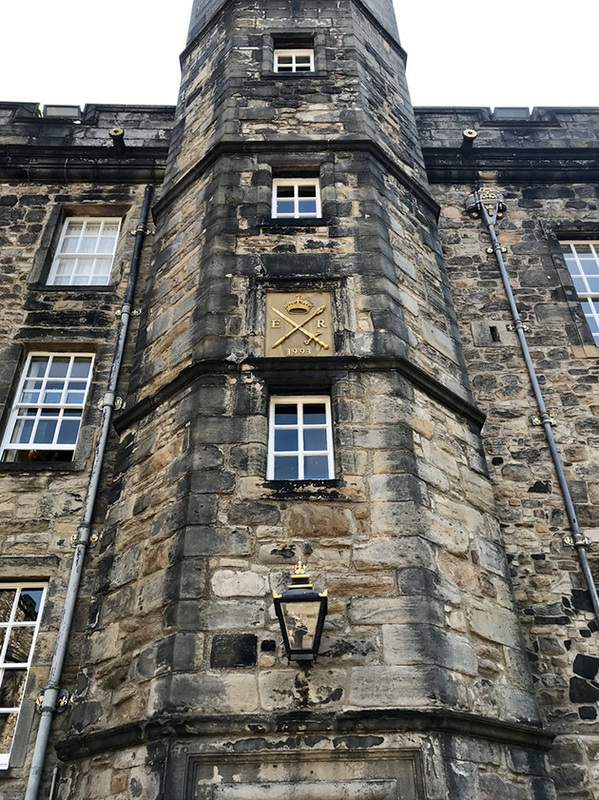 I was hooked on hearing all the behind-the-scenes details of this working palace, the Queen's official residence in Edinburgh. 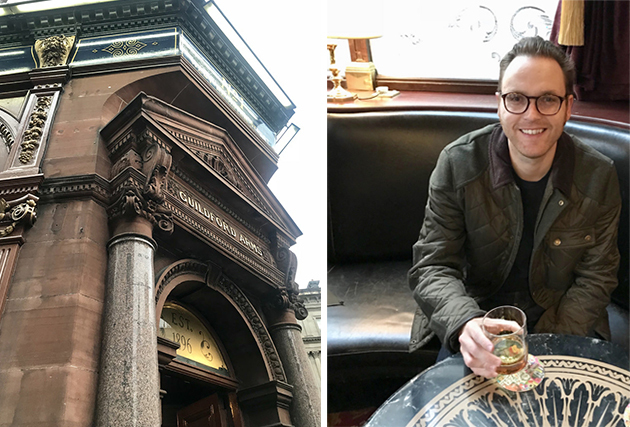 The audio tour was included in the ticket price and we both enjoyed this tour even more than Edinburgh Castle. We chose to save the money and pass on the Queen's Gallery and the Garden Tour- no regrets there. 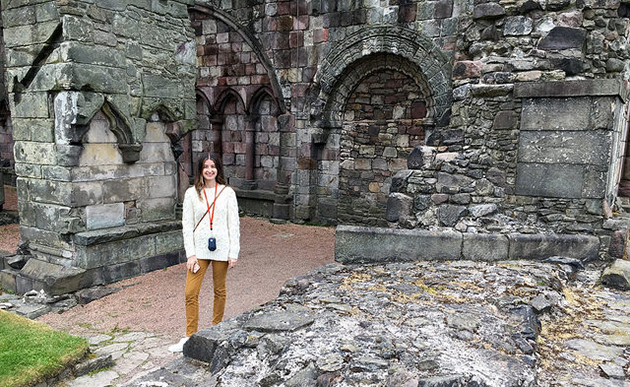 My highlights were the ruins of Holyrood Abbey and buying up all the commemorative royal mugs and Christmas ornaments in the gift shop. The Royal Yacht Britannia was one attraction we were unsure about visiting but are so glad that we did. It's a little out of the way, berthed at Leith Docks. (We took an Uber.) It's kind of a weird set-up, as you access the ship through a shopping mall. The audio tour was included again. The yacht is set up exactly as it was when it was in service. It was fun to see how the royal family lived at sea, from the Queen's bedroom to the formal dining room. 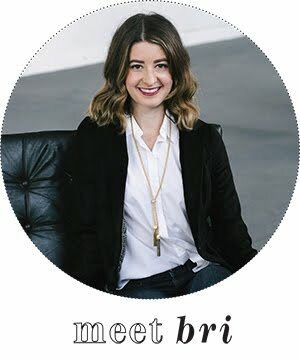 If you appreciate nautical style, you'll love this experience! 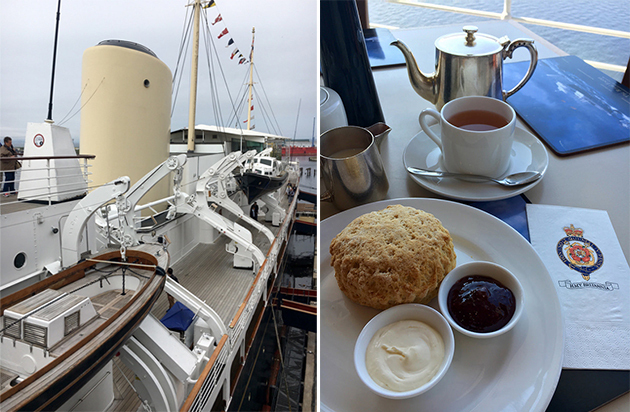 Our favorite part was stopping for scones and a pot of tea in the yacht's onboard cafe. 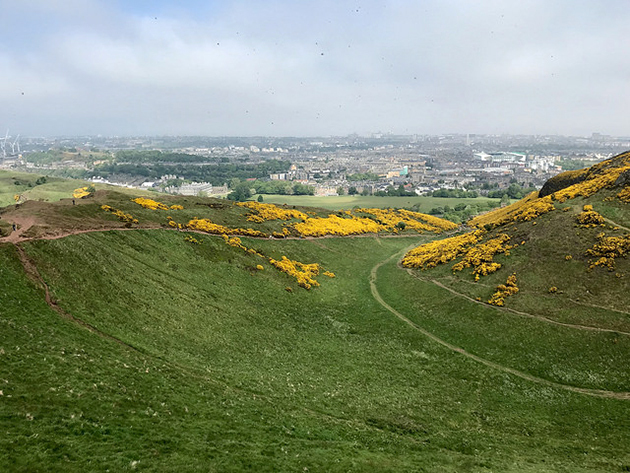 Arthur's Seat is an ancient volcano that overlooks Edinburgh from Holyrood Park. From the top, you can see panoramic views of all of Edinburgh. We aren't avid hikers, so in our opinion, the difficulty level of the climb was harder than expected. There were a couple points where we had to stop for breaks. But it ended up taking about an hour to get to the top and the views (and sense of accomplishment) were totally worth it! 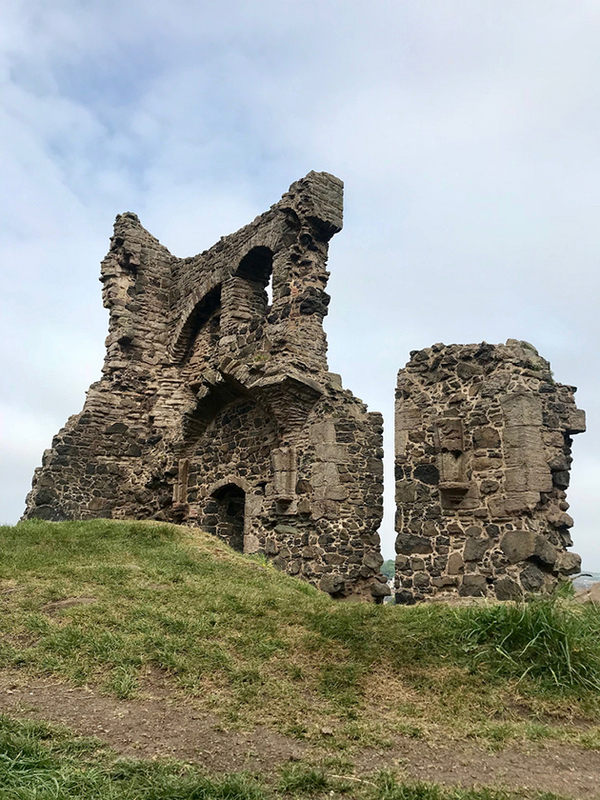 There are multiple routes you can take; we chose the one that begins behind the palace in Holyrood Park. It's pretty easy to find because you can see lots of other people heading up. I would recommend wearing comfortable shoes and bringing a water bottle. It would also be a good idea to bring a small picnic or a bottle of wine to enjoy at the top. 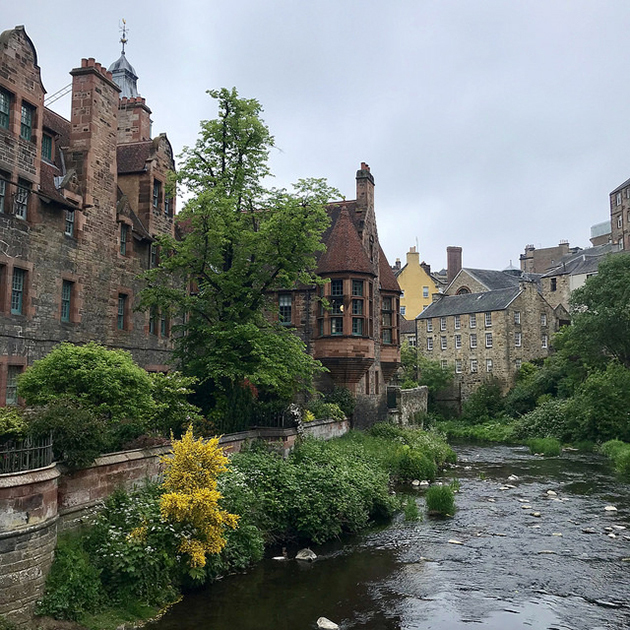 I discovered a photo of Dean Village on Pinterest and had to add it to my list for our trip. Just a short walk from the city center, it's the kind of place that feels miles away from modern civilization. 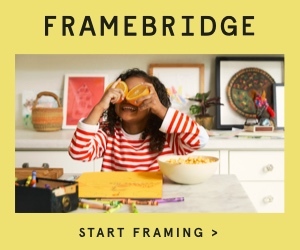 There isn't much to do as far as shopping and restaurants, but if you're into photography, you'd be hard-pressed to find a more "Insta-worthy" spot. 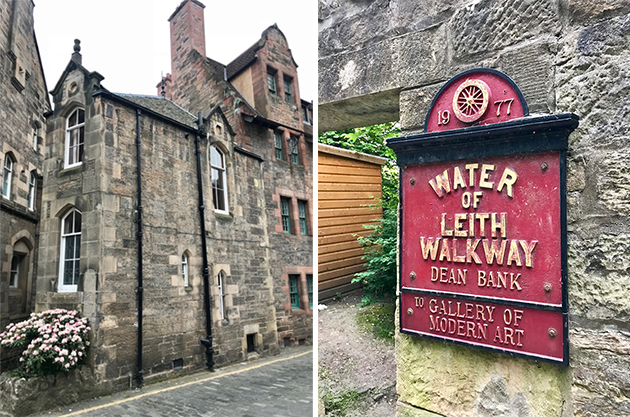 After taking some photos of the quaint former grain milling village from Dean Bridge, you can then walk along the Water of Leith to the Scottish National Gallery of Modern Art or grab dinner in charming Stockbridge.